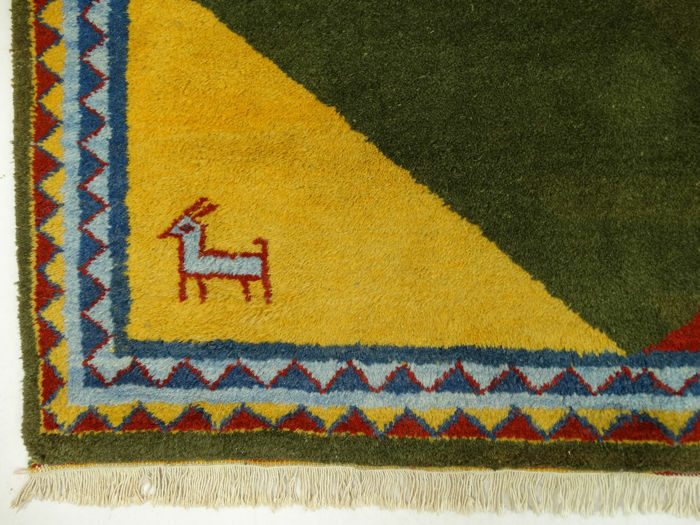 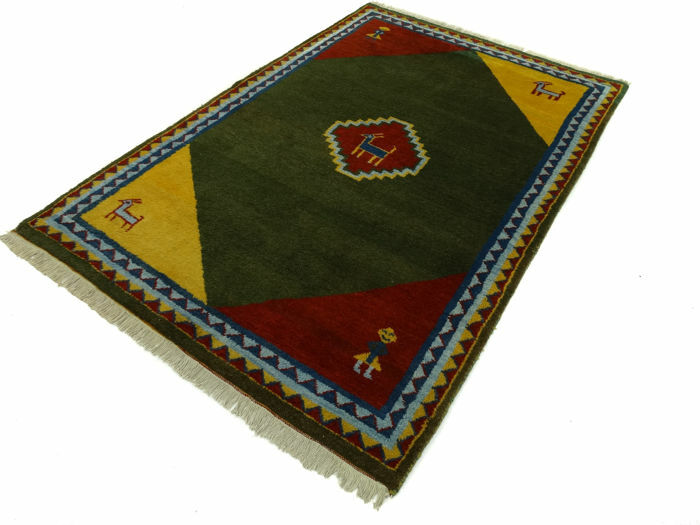 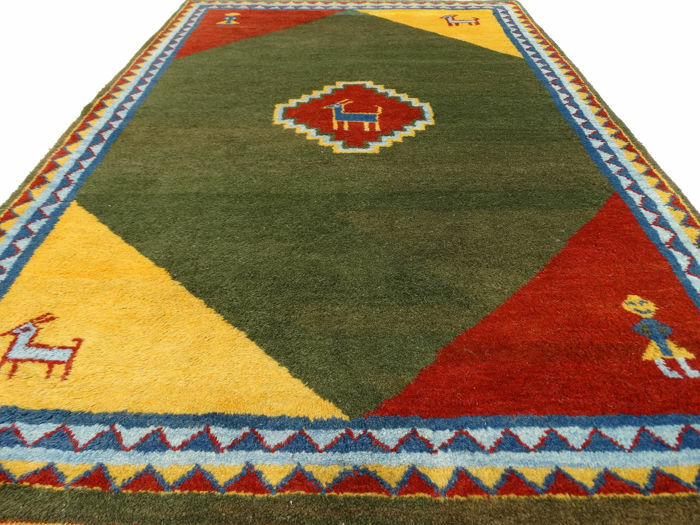 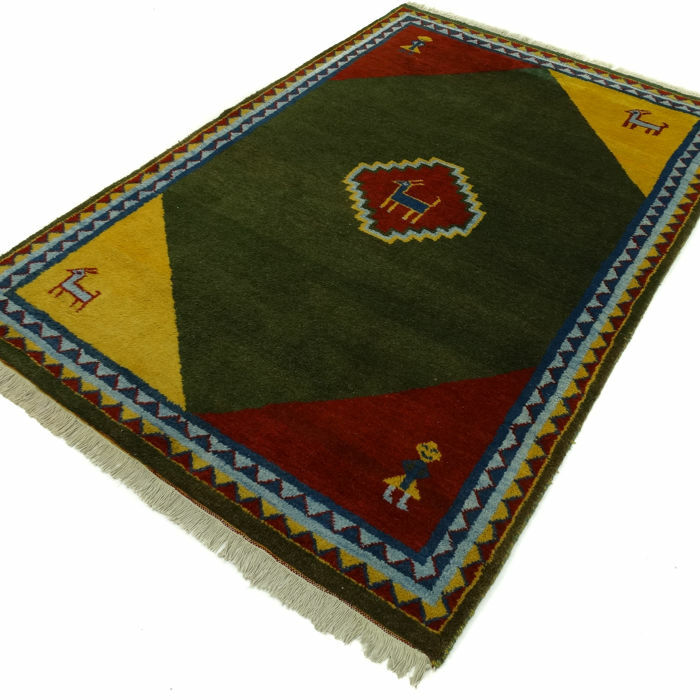 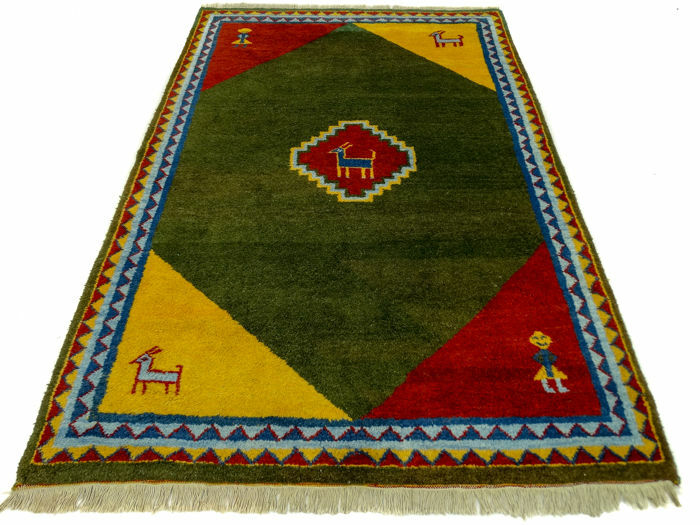 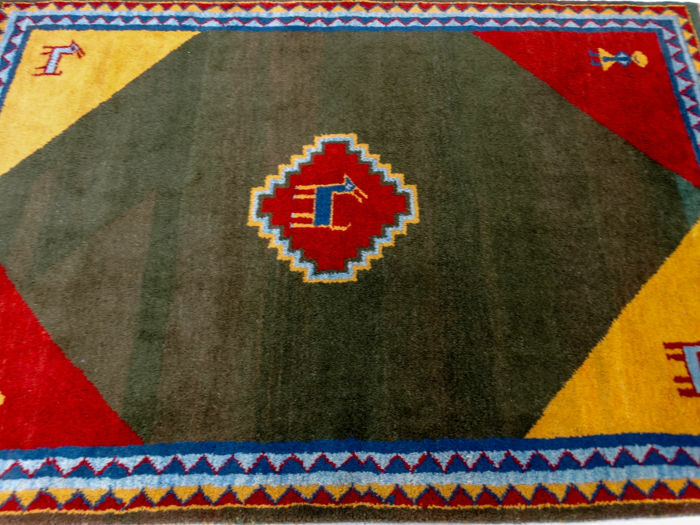 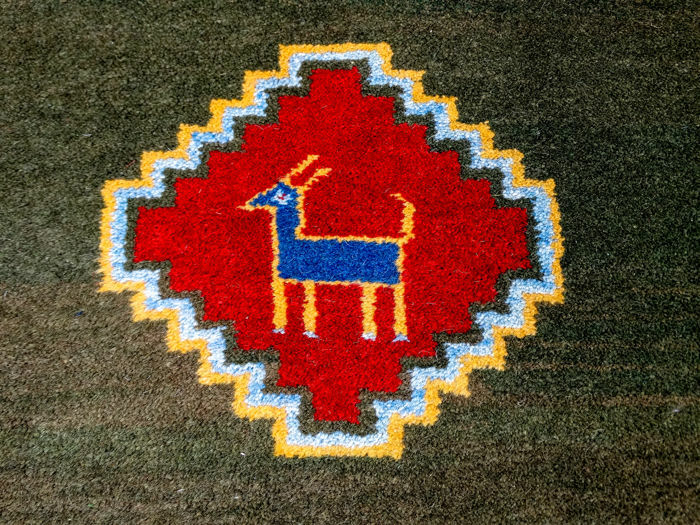 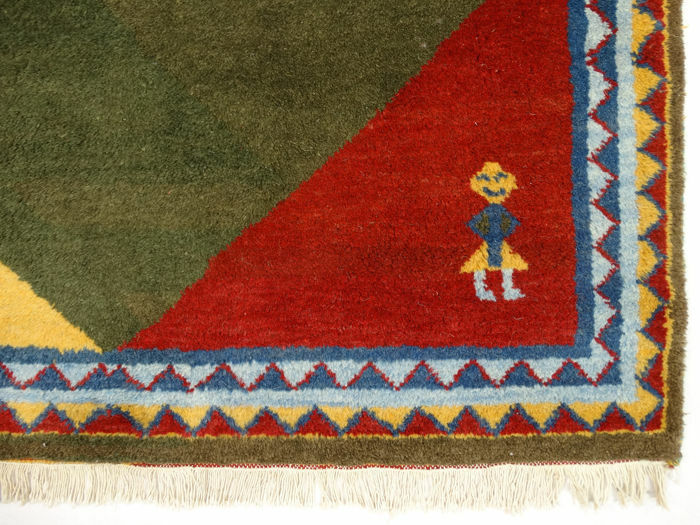 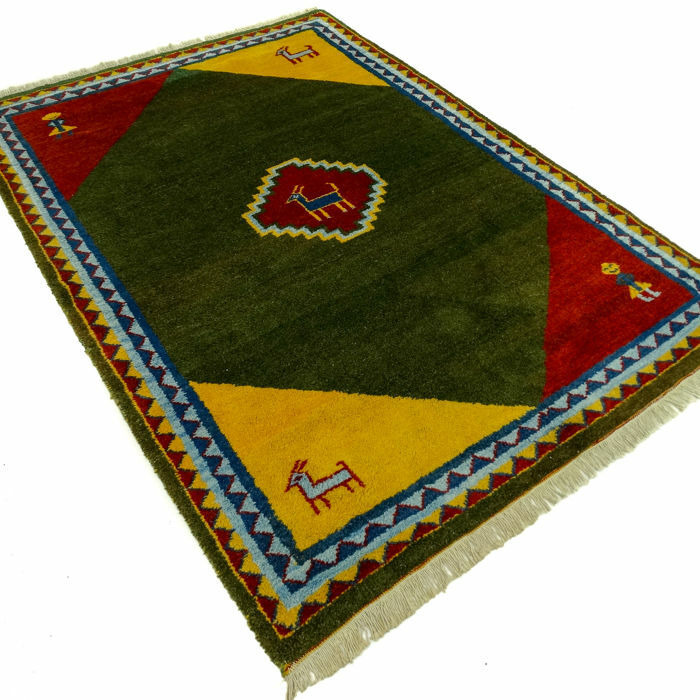 This is a hand-knotted Gabbeh carpet, made of durable, natural materials. 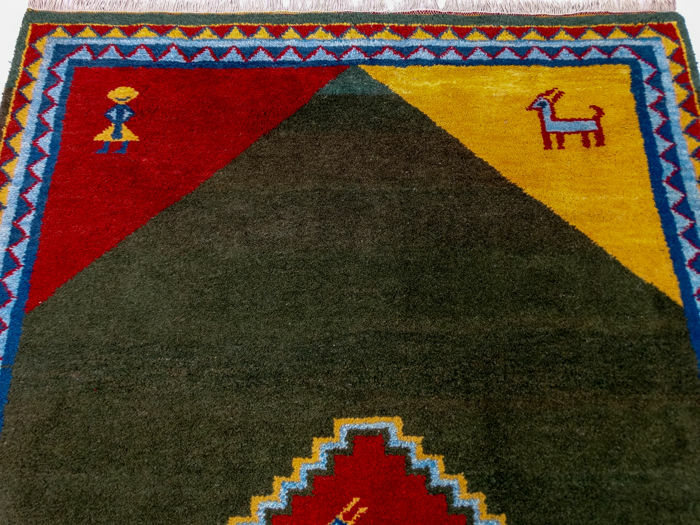 The way it is knotted and the diversity in patterns make this carpet unique and emphasise its authentic and traditional character. 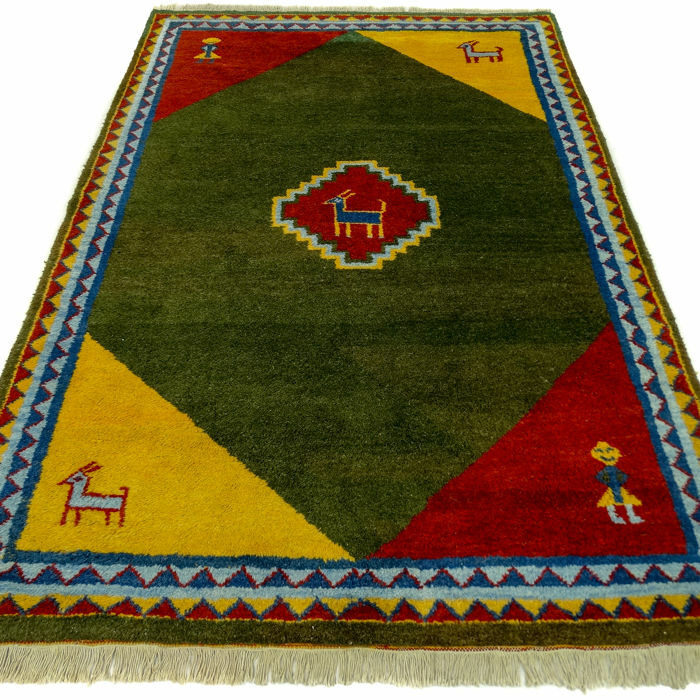 This Gabbeh was made in India. 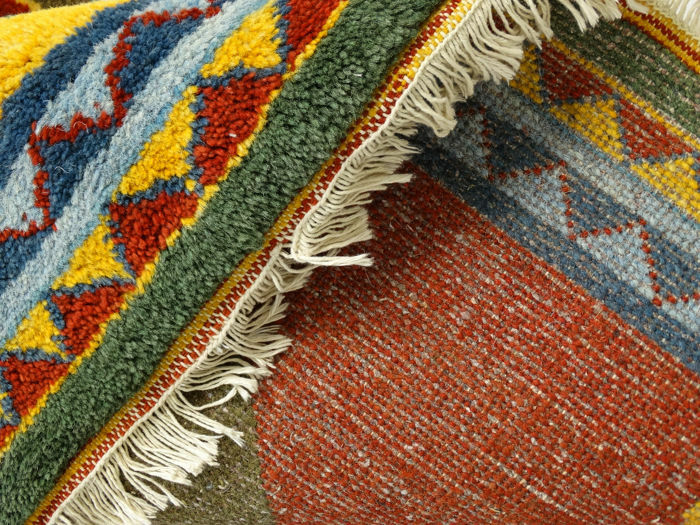 They were originally made in Iran. 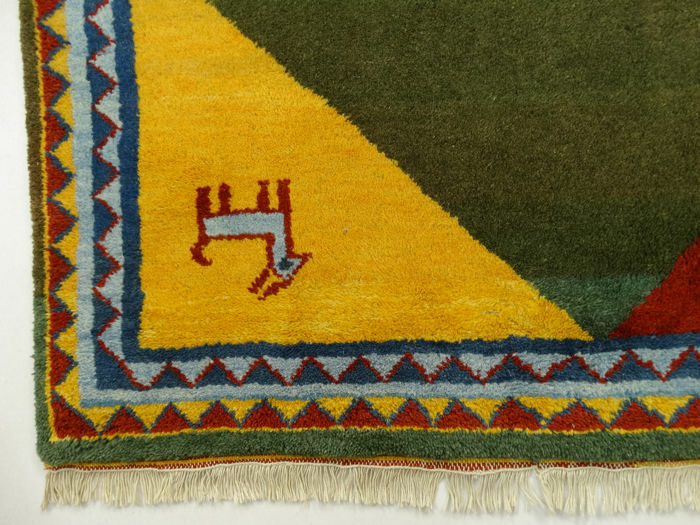 Gabbeh rugs are made by nomads in the south-west of Iran. 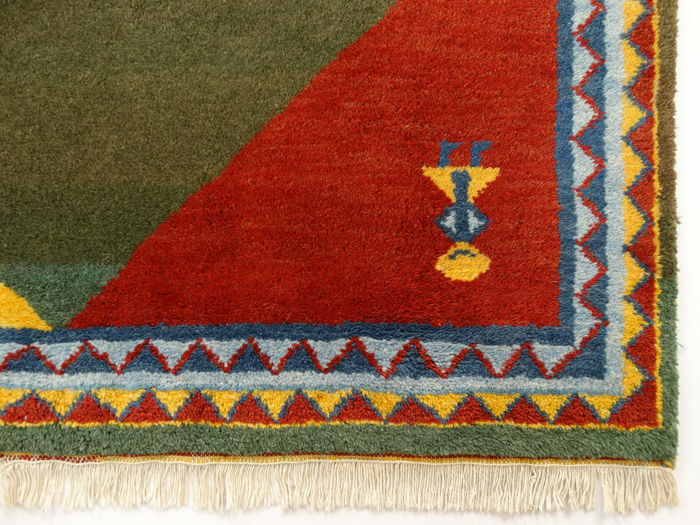 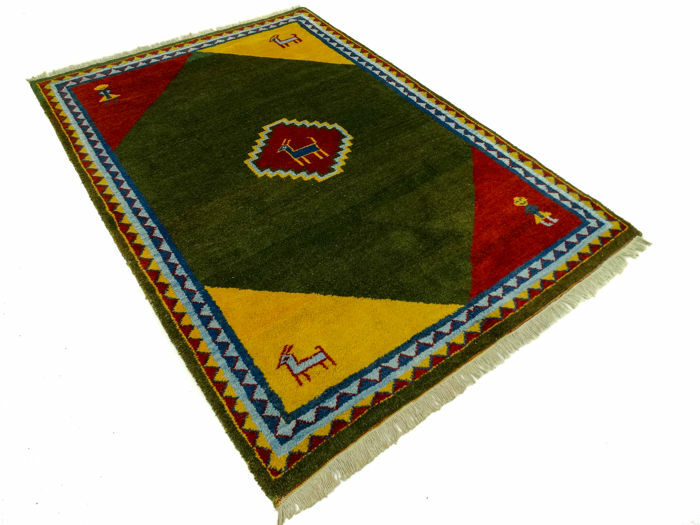 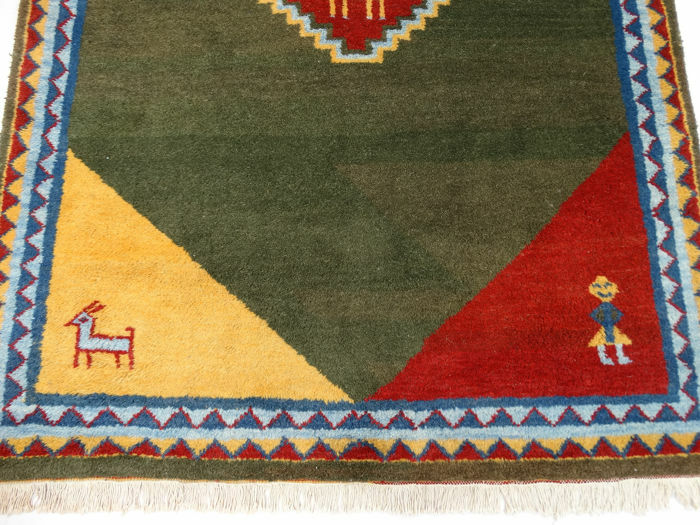 The large sections with often a few primitive patterns (often animals) are characteristic of these rugs. 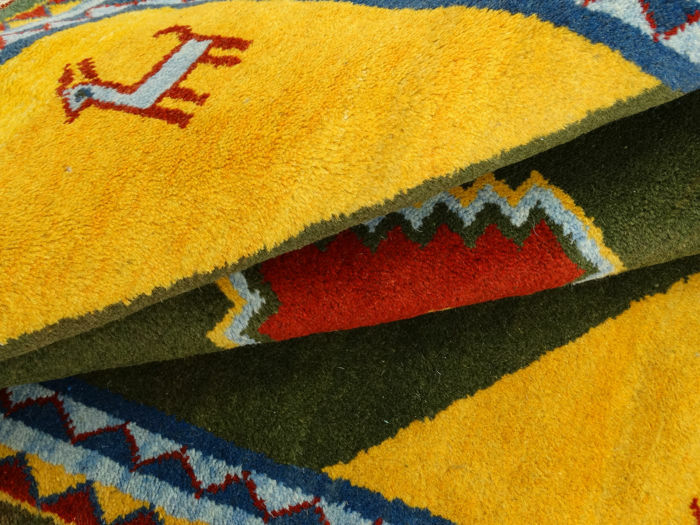 Accent colours: yellow, red and blue shades. 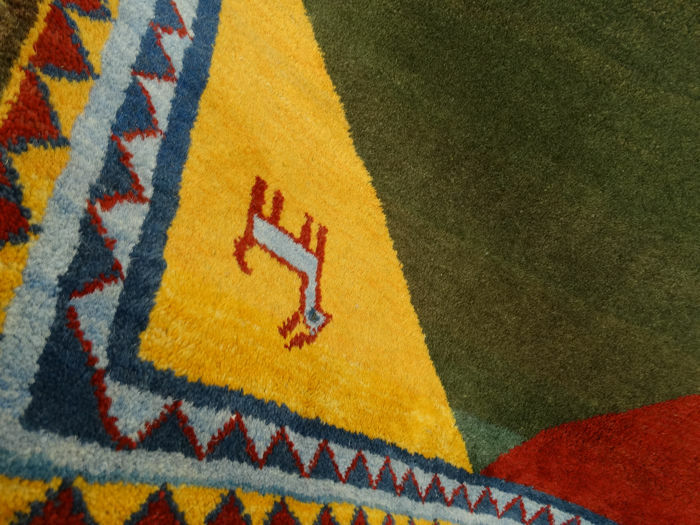 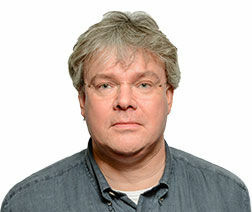 Details: nicely clean, full and thick carpet; beautiful shine; a lot of nap; rich abrash (natural colour variations).